Allegations that Gaza children are using Hamas as human shields were further fueled by a video appearing to show Gaza children enticing Hamas militants to run near homes, UN shelters and playgrounds ahead of Israeli air strikes. “We are doing everything humanely possible to avoid combatant casualties”, said Lt. Col. Peter Lerner, a senior spokesman for the Israeli military. He called the killing of two militants near the U.N. refugee center that was shredded in a missile barrage, “a true tragedy,” and said the incident is under investigation. The Conservatives, Liberals and NDP passed another unity bill late last night for Israeli citizens terrorized by Gaza rockets. 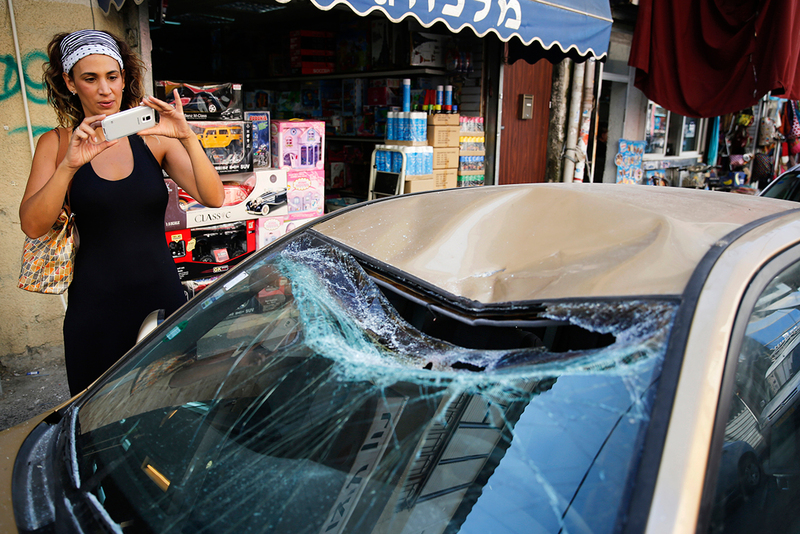 “We stand with Israel against the economic devastation of rising car insurance due to Gaza rockets”, read the joint statement. “A tunnel is a tunnel”, explained an Army spokesman yesterday, who wished to remain anonymous. “Why aren’t they picking on the seal slaughter instead of us?” demands B’nai Brith spokesperson Frank Dimant. Iron Dome technician explains they are very similar in size, speed and weight. According to the official Israeli Terrorism Center (ITIC), only 31-70% of the Gaza terrorists killed were civilians. The ITIC reports that 1,552 people have been killed in Gaza during the latest round of fighting. 467 (30%) are clearly combatants. Israel is doing all it can to minimize combatant deaths, the ITIC reports. Israel is exercising its right to self-defense. “Why aren’t they picking on the dopers instead of us”? sniffed celebrity humanist Eli Wiesel. According to the United Nations Office for the Coordination of Humanitarian Affairs, Israel has improved its targeting accuracy in Gaza. As of August 7th, 1,935 Gazans have been killed, and 1,408 (73%) were civilians, while 527 (27%) were Hamas fighters. The Israeli Institute for Counter-Terrorism, body count for Israel’s 2009 Cast Lead operation against Gaza shows that Israel killed 314 combatants, or 22% of those killed in Gaza during the 2009 operation. They conclude that 78% of those killed might have been civilians. “A 5% difference in civilians killed is something the world should be saying ‘Hallelujah’, instead of blaming Israel”, whined Canadian Prime Minister Stephen Harper. Why don’t they love us? wonders IDF drone pilot, Avigor Grossman. “Why aren’t they picking on Monsanto instead of us”? asks Israeli Prime Minister Netanyahu. “They should have known what we are capable of”, defended Israeli Economic Minister Naftali Bennett. “It could have been”, reasoned Israeli military spokesperson Lt. Col. Peter Lerner. “Stop complicating things”, warned Prime Minister Netanyahu to John Kerry, while unpacking the latest missile shipments from the United States. Earlier in a video message to the US Congress, Mr. Netanyahu thanked them for continuing to send Israel its yearly $3.1 billion military aid package. “We’ll show you what a real occupation is”, snorted the Federation CJA. Excellent reporting. Congratulations on hiring Andy Borowitz away from The New Yorker.